Q. I am unable to log in to the members only area. A. If you have previously created a profile and have trouble logging in, first try to use the "Forgot Password" button. A new temporary password will be emailed to the last email address you provided to the Chamber. If you do not receive a password, this means you are currently using an email address different than the last one you provided for us. You may want to check any other email accounts which you use. Once you have completed the appropriate process, if you are still unable to log in, you may contact the Chamber and someone will respond as quickly as possible to assist you. Q. Can I offer discounts or promotions to members of the NLGBTCC? A. Only members of the NLGBTCC or the National Gay and Lesbian Chamber of Commerce (NGLCC) may market discounts to the membership of the NLGBTCC through the LGBT Chamber's web site or the LGBT Chamber's printed materials. If you would like to offer discounts to NLGBTCC members, contact us at 615.507.5185 or email us at Membership@NashvilleGLBTChamber.org. Q. How often does the LGBT Chamber meet? A. The LGBT chamber meets at least once a month. Programming includes business networking, educational programming, business growth opportunities, joint events with other community groups. Keep an eye on the Event Calendar on the website. Q. Do I have to own a business to join? A. Absolutely not! The LGBT chamber started out as a professional networking group, and we encourage individuals who are looking to network with other professionals to join. A. View information about our membership levels. Q. Does the LGBT Chamber have a code of ethics for it's members? A. The chamber expects all members to follow our Code of Ethics. Q. I’m considering starting a small business. Does the LGBT Chamber have any resources available to help me? A. Of course, the LGBT Chamber has members and partners whose expertise is supporting entrepreneurs and/or small business owners. We provide education, access to capital, certification opportunities, supplier diversity networking, etc. Q. How can I get my company's logo on the LGBT Chamber's website? A. Space is reserved on the front page of the Web site for our President level & Chairman level members. Review our membership levels. Q. How can I advertise on the LGBT Chamber's website? A. Review our sponsorship opportunities, which include prominate placement for banner ads on the LGBT Chamber’s Web site. Q. I would like to present a program to the LGBT Chamber. How can I do that? A. The LGBT Chamber loves to have diverse programming amongst our members and partners. Contact the Executive Director with your proposal. Q. I’d like to be a member, but I do not want my membership public. Can you do that? A. Absolutely. We allow you to decide if you want your membership available in our online directory. Q. Does the LGBT Chamber have a national presence? A. Yes. 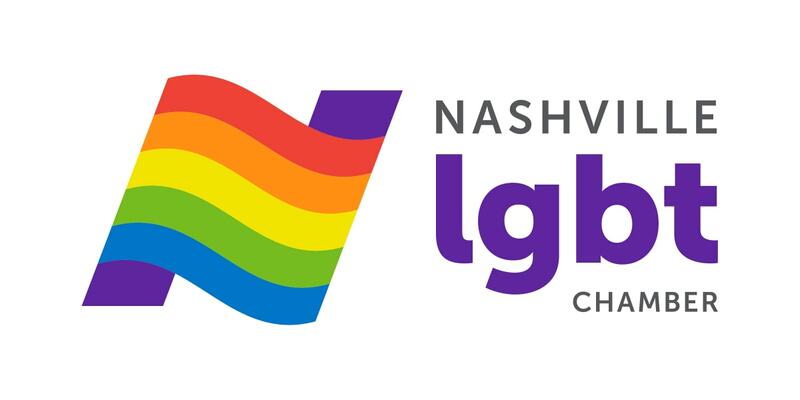 Nashville’s LGBT Chamber of Commerce is an affiliate chapter of the National Gay and Lesbian Chamber of Commerce, based in Washington, D.C. By joining the NLGBTCC, you have the opportunity to take advantage of the many opportunities available through the NGLCC. Q. Do I have to be gay, lesbian, gay, bisexual or transgender to join NLGBTCC? A. No. Membership is open to anyone who supports the NLGBTCC mission and Code of Ethics. We love our straight allies! Q. I’d like my recent promotion mentioned in the newsletter. How can I do that? A. Contact the Executive Director to submit your news, update, event, etc. Q. Is the LGBT Chamber a non-profit? A. Yes, the LGBT Chamber is classified by the IRS as a 501(c)6 not-for-profit and is registered with the Tennessee’s Secretary of State office.